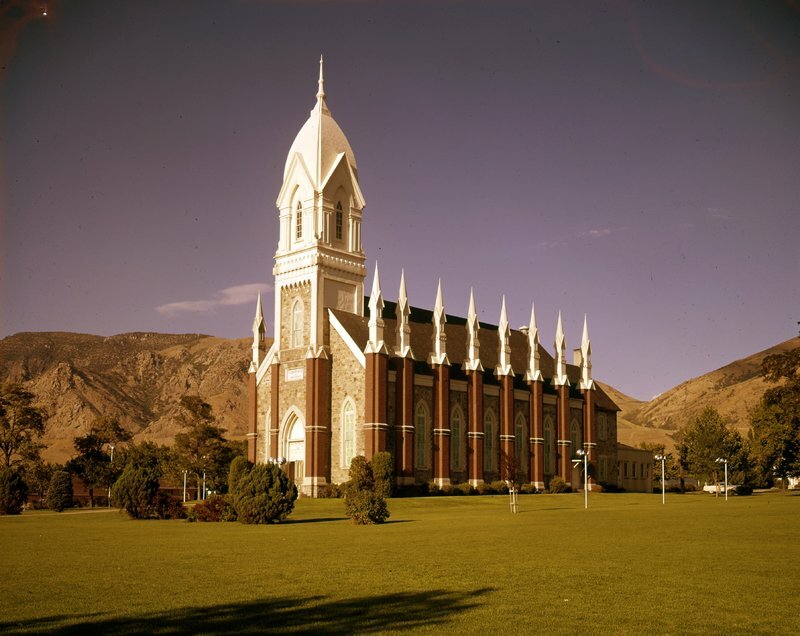 The Box Elder Tabernacle of the Church of Jesus Christ of Latter Day Saints is a fine example of Neo-Gothic architecture. It was saved from demolition and renovated in 1985. Brigham Young, President of The Church of Jesus Christ of Latter-Day Saints, selected the site for the Box Elder State Tabernacle in 1865. However, construction did not begin until 1876 under the direction of Brigham City’s first Stake President, Lorenzo Snow. The building was not finished until 1890 under the leadership of Stake President Charles Kelley. The architect was probably Truman 0. Angel, Jr. or his father, one of the more famous L.D.S. Church architects. With volunteer labor, field stone was collected nearby and lumber was hauled from the mountains, sawed and delivered to the site. The structure was 50 feet by 95 feet with a tower rising above each of the four corners. The seating capacity was 1200. One Sunday afternoon in 1896, the building burned down, leaving only the four walls standing. According to the local paper, the Brigham City Bugler, it took only a half hour for the tabernacle to turn into “a mass of furious, crackling flames.” By 2:30 in the afternoon, the building was nothing more than a smoking, blackened hulk. The fire had even stripped the plaster from the walls and floating embers from the tabernacle blaze had touched off other fires around town. As the L.D.S. Church built more stake centers in the Brigham City area, the tabernacle became less prominent. It was added to the National Register of Historic Places in 1971. Although some talked of tearing it down, the building was restored and renovated from 1985 to 1987. To this day many come to tour and praise this celebrated building with its long history of trials and triumphs. Funeral service going on at the Brigham City Tabernacle: LDS Church president Joseph F. Smith (1838-1918) is speaking at the pulpit. ~ Source: Used with permission from the Utah State Historical Society, Photo no. 24323, https://collections.lib.utah.edu/details?id=435274. 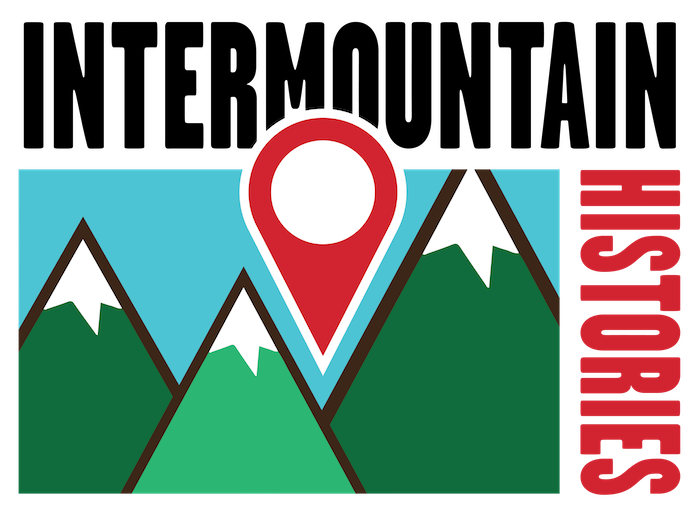 ,” Intermountain Histories, accessed April 20, 2019, https://www.intermountainhistories.org/items/show/259. Brigham City History Project. “Box Elder Tabernacle,” website available at: http://www.brighamcityhistory.org/wiki/Box_Elder_Tabernacle. “Historic Box Elder Tabernacle Rededicated.” Ensign., July 1987. Johnson, Brandon. 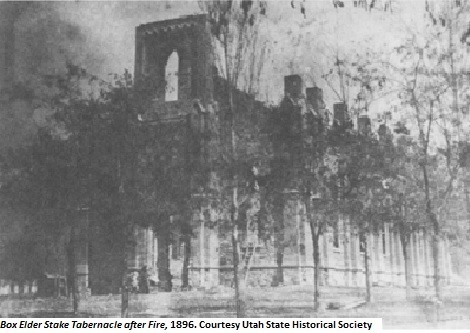 “The Box Elder Tabernacle Fire,” The Beehive Archive, 9 January, 2008. National Register of Historic Places. “Box Elder Stake Tabernacle,” Brigham City, Box Elder County, Utah, National Register #71000840, 1971. Toone, Trent. 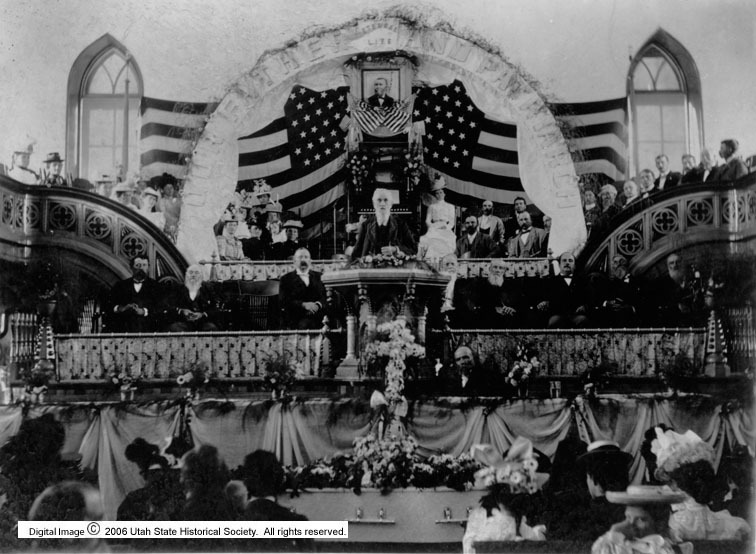 Deseret News, “A Look at 60 Historic Mormon Tabernacles,” 21 October, 2015.